Panthera leo is the scientific name for a lion, while "leeu" is the Afrikaans name and "simba" is the Swahili name for the big cat. Baby lions are called cubs. These felines are the largest carnivore in Africa and the second largest species in the cat family, according to the Predator Conservation Trust. 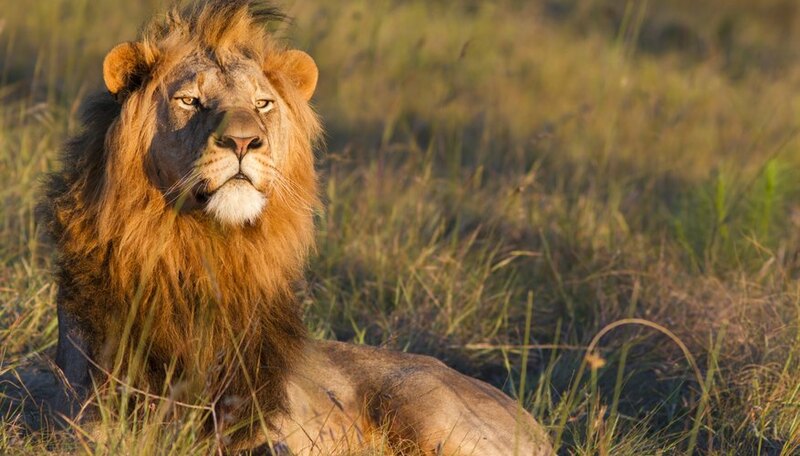 Adult males have the characteristic mane around their necks and shoulders, with the size, color and extension varying by geographic location. 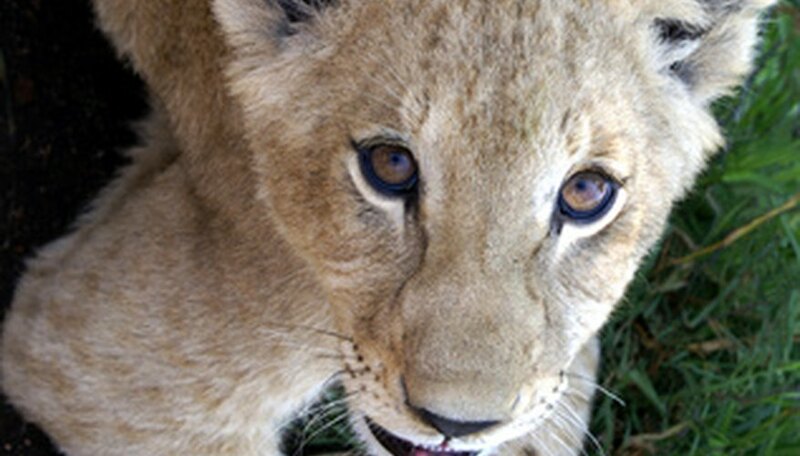 Lion cubs gestate for approximately 110 days and are born in a litter of between one and six babies, although two to three cubs at a time is considered normal by the Predator Conservation Trust. These cats are born helpless and blind away from their pride, as their mothers typically leave to give birth in a safe place shortly before. The mother and cubs stay in isolation for four to eight weeks. Young cubs are vulnerable to various predators, including hyenas, leopards, jackals, pythons and martial eagles. The mother acts as protector by finding the safest hiding places she can, picking up each cub in her mouth one by one to move them. She must hunt during this time to maintain her health and milk supply, so there are times the cubs will be left alone. African lions live in prides of between one and three males, along with several females and their cubs, while male lions in India live apart from females and their cubs. When new cubs are introduced to an African pride, the mother makes clear her intentions to protect them from both male and female pride members. While other females can be aggressive toward the cubs, males are more likely to be a threat. One of the greatest dangers to baby lions is new dominant males who have taken over the pride. If the mother returns from birthing and early rearing to a shift in male power, the newly instated dominant males will kill her cubs. If this shift were to occur later on, but before the young ones were old enough to outrun the males, they will be killed then as well. 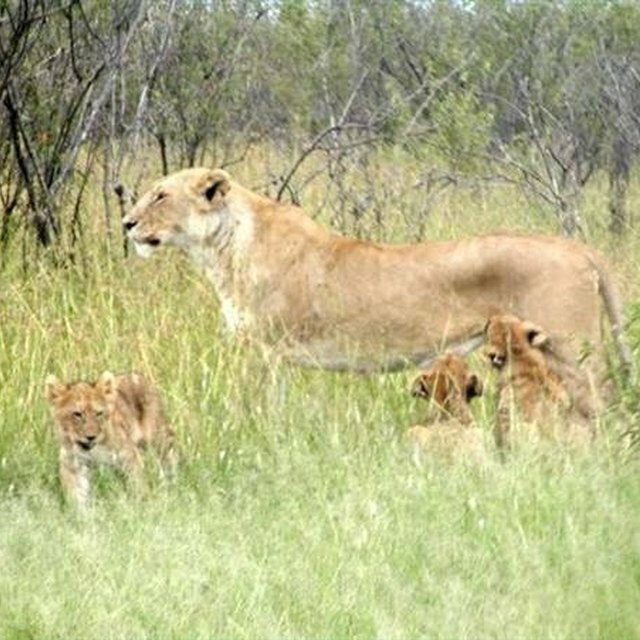 All cubs in the pride are related to the other cubs and other members of the pride in some way. Females are almost always related to one another and the cubs are usually offspring of between one and three dominant males. Females will often nurse each others' cubs and defend them against threats. 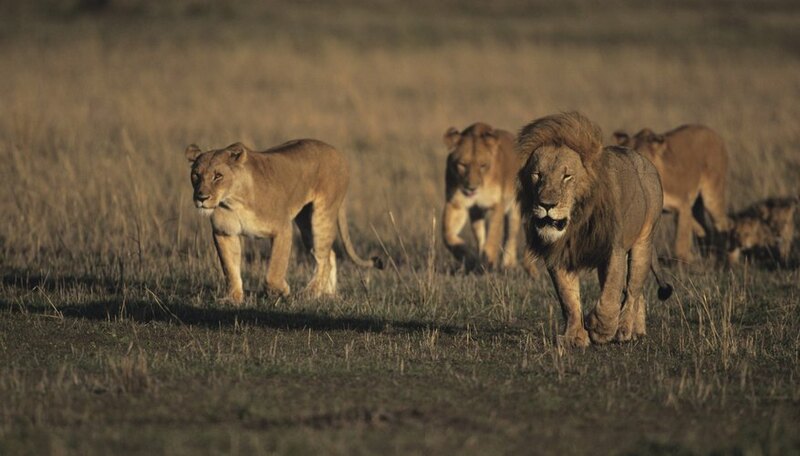 Eventually, males will leave the pride, while most of the females will stay with the family group. Lion cubs nurse for approximately six months, but will begin eating meat at three months. They will nurse at any vacant teat--including at a teat that is not their mother's if the other female will allow it--unlike leopard cubs, which nurse from the same teat on the same mother every time. 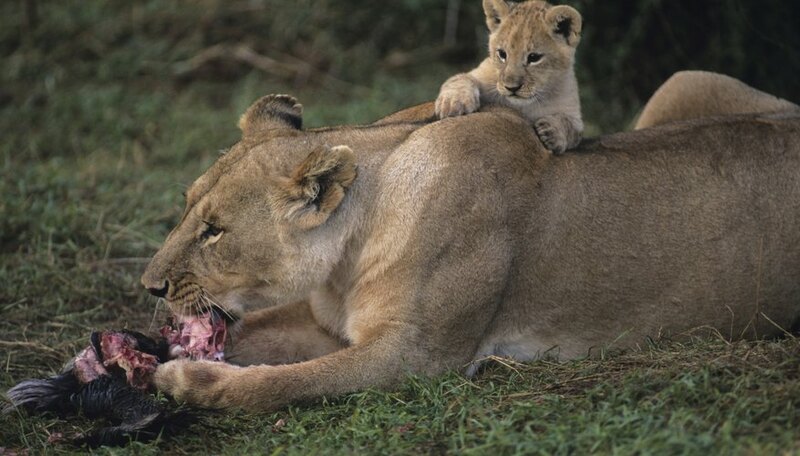 Baby lions get the last pickings from a kill and do not begin to hunt for themselves until they reach one year of age. 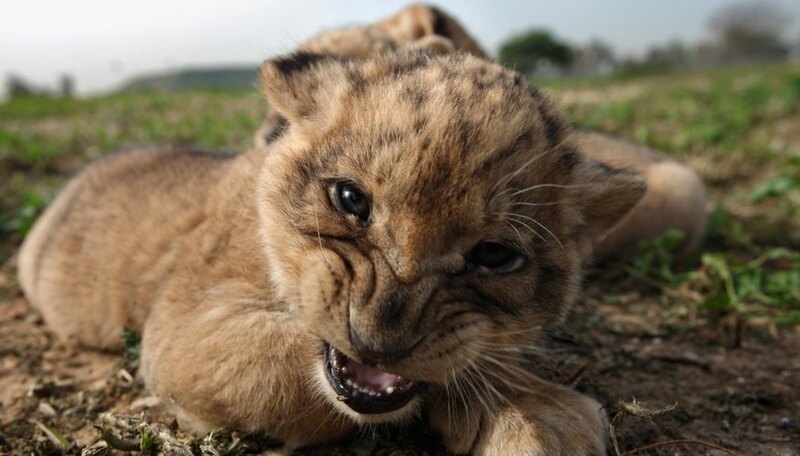 Due to threats from starvation, predators and male lions, up to 80 percent of baby lions die within the first two years. Jennings, Elizabeth. "Information on Baby Lions." Sciencing, https://sciencing.com/information-baby-lions-6692128.html. 24 April 2017.